April was a month with lots of travel. 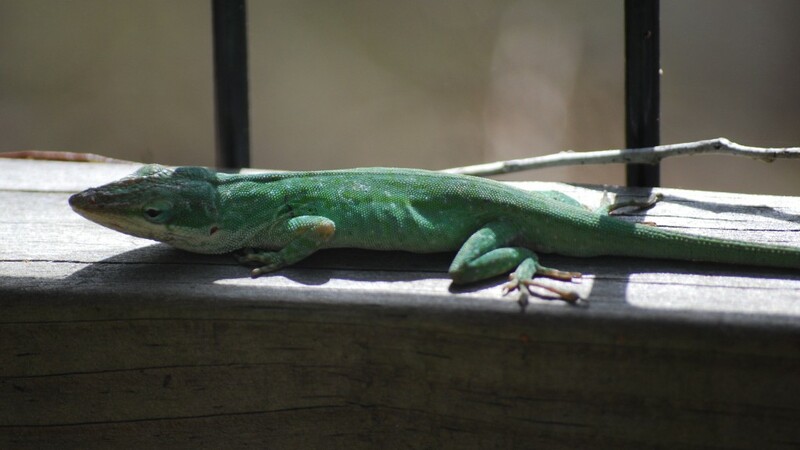 The first trip was to the University of Florida in Gainesville for a conference called “From Stars to Life”. I stayed an extra day at the end to go birding along La Chua Trail in Paynes Prairie Preserve State Park and a few other hotspots in the Gainesville area. 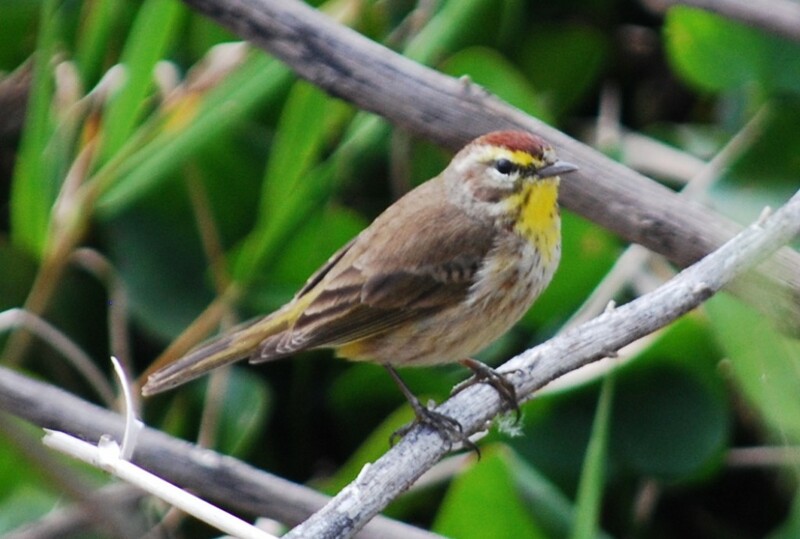 The final tally was 53 different species of birds, almost half of which (23) were species I saw for the first time ever. Particularly numerous were various types of herons and egrets: great blues, little blues, snowies, greens, cattles, and more. Blue-winged teal, American coots, white ibis, red-winged blackbirds, and boat-tailed grackles were also present in large numbers. Among the 23 “firsts” were Carolina wrens, anhingas, black-necked stilts, palm warblers, a limpkin, eastern towhees, a prairie warbler, and a pileated woodpecker. Impressive in a rather different way were the many alligators along the trail – and sometimes almost on it. Below are a few photographic highlights from La Chua. The full album can be found in the usual location. 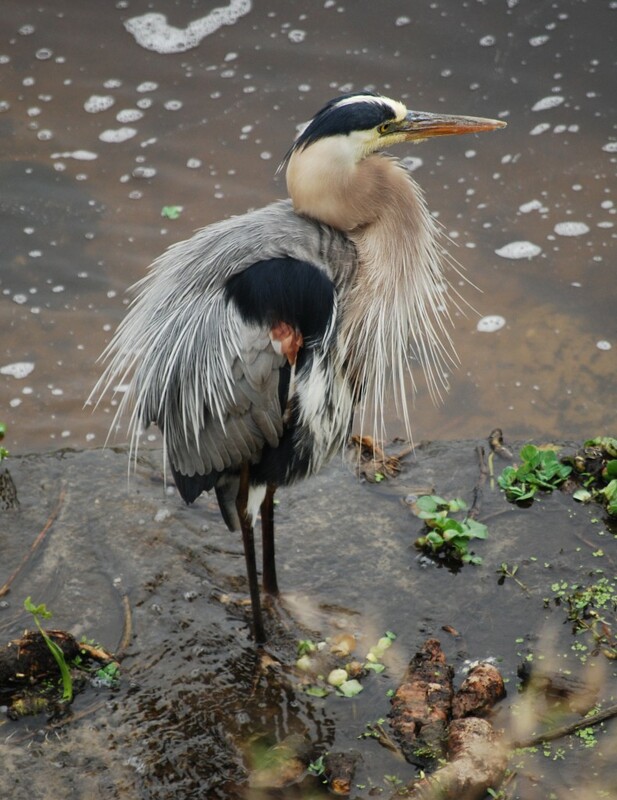 A great blue heron (Amerikaanse blauwe reiger) in breeding plumage. 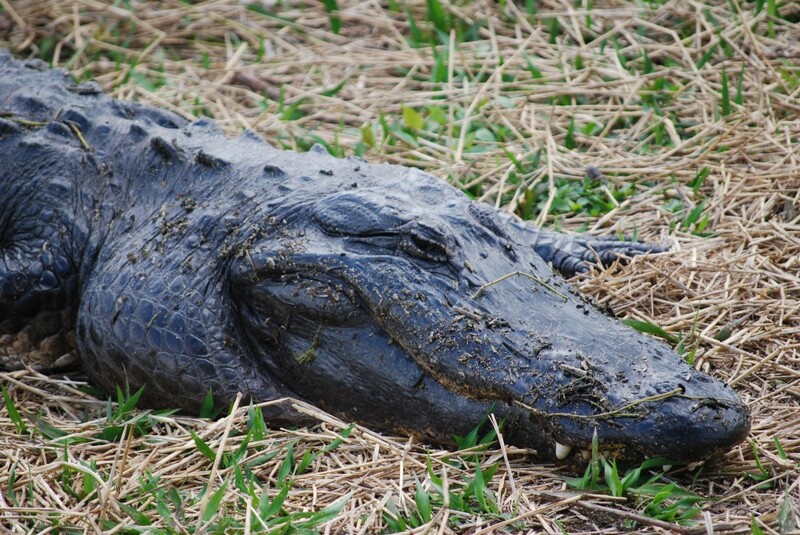 A much smaller cousin to the alligators encountered further down the trail. Good thing I have a zoom lens to get close-ups, because you don’t want to get too near these beasts. 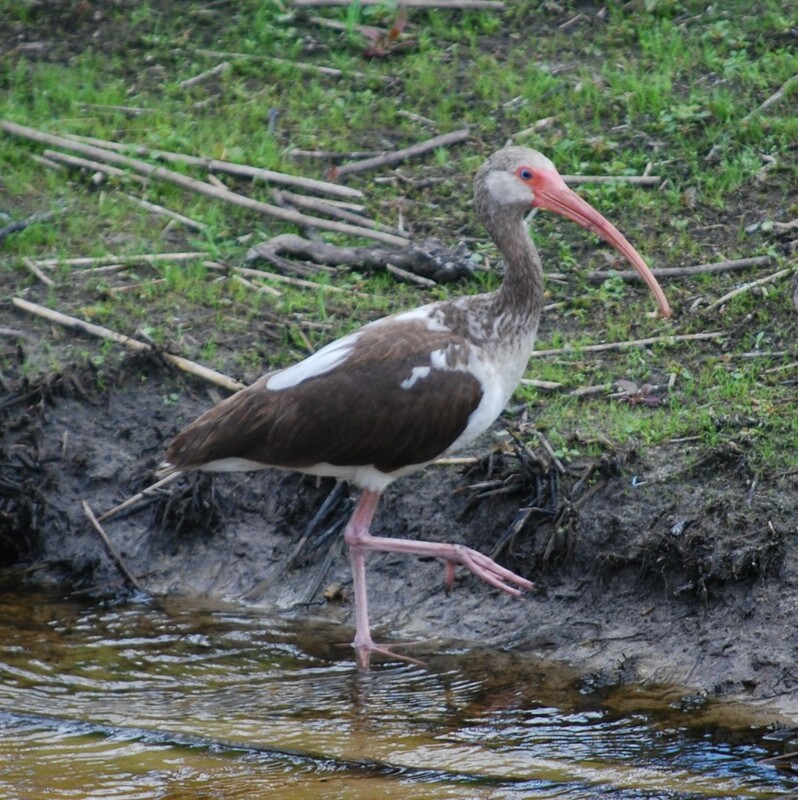 A juvenile white ibis (witte ibis). 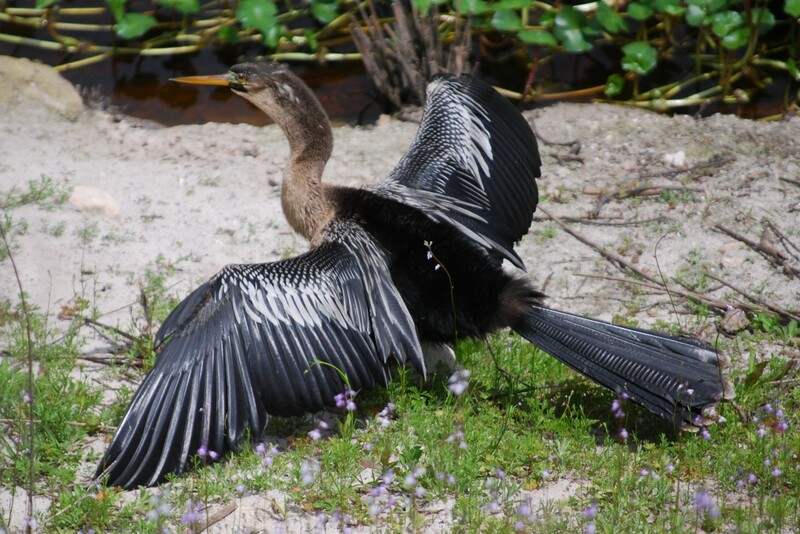 A female anhinga (Amerikaanse slangenhalsvogel) drying her wings after a dive. 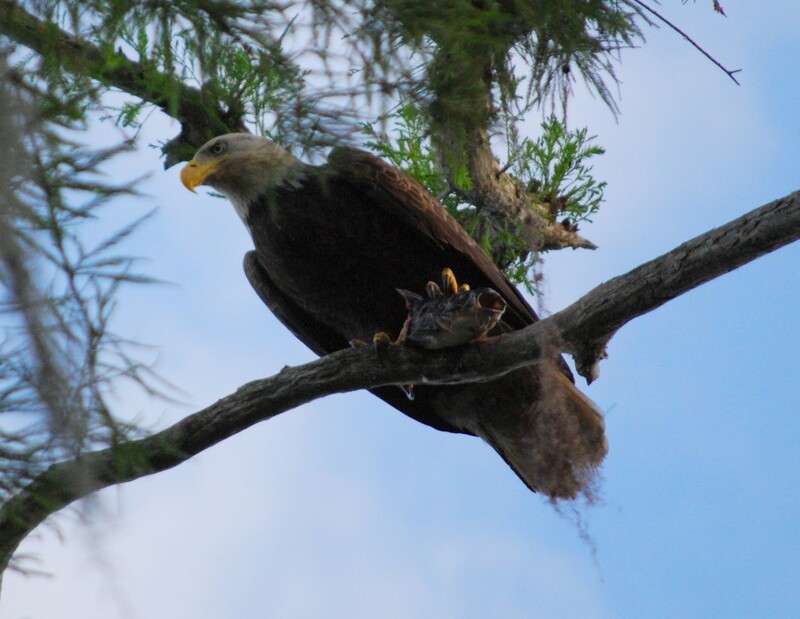 Perhaps my favorite picture of the trip: a bald eagle (Amerikaanse zeearend) with a freshly caught fish in its claws.